Waking up with red, itchy welts? You might think it’s a spider or mosquito bite but, while it’s horrifying to consider a bed bug infestation, it’s more common than you might think. If you’re concerned you may have bed bugs in your home, it’s time to get serious and take action. Bed bugs are nocturnal insects (roughly the size of a ladybug) that live in soft furnishings (sofas, beds, etc.) and feed off of human blood at night. Although they feed every 5-10 days, they can lie dormant for over a year. They avoid light and move quickly so while you’re stripping the sheets and blankets off your bed, look closely – bed bugs are easily visible to the naked eye. Adult bed bugs are the size of a grain of rice, while newly hatched offspring are the size of poppy seeds. 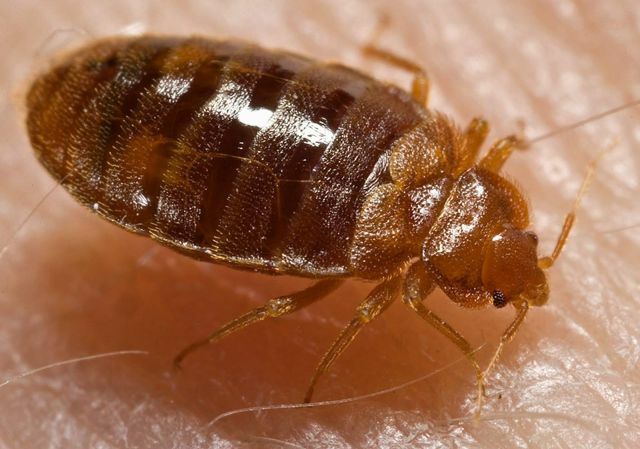 While admitting you have bed bugs can be embarrassing, research shows the bugs do not transmit disease – but that doesn’t mean they’re not dangerous. If you think you have bed bugs, begin by calling in an exterminator for a professional analysis and quote. A licensed exterminator can inspect your house and treat hot spots with insecticide but the bulk of the work will be on your shoulders. According to Wikipedia, a combination of approach is needed as there is no known effective pesticide to guarantee complete eradication of bed bugs.